Why won’t my picture download from my smartphone? Fort Wayne Computer Repair | Shane Grantham Consulting, Inc. This weekend I was working on my blogs for my two web sites. One of the stories was about an Android application and it needed a picture for the beginning of the story. A screenshot was taken of the app on one of my old smartphones and I thought it was going to be easy to get it into my computer that I was creating it on. To get the picture off the phone and into my computer I first opened the Gallery app on the phone. The picture was located under the “Camera” category and I clicked on it to bring to the foreground. Then the share button was clicked to see my options for sharing. First I picked email and entered my email address and sent it – but nothing happened. I tried it again still nothing in my inbox. Next, the USB cable was attempted to transfer the picture and as before nothing responded. I was using a Linux computer and no window automatically opened showing me the smartphone contents. I tried my Microsoft Windows computer and no repsonse. Now I was getting mad! This should be a simple process. Plan C was to try Dropbox and it was selected from the share option. This stalled without any messages just like my other attempts and I was baffled. I took a deep breath and started to analyze the smartphone for problems. 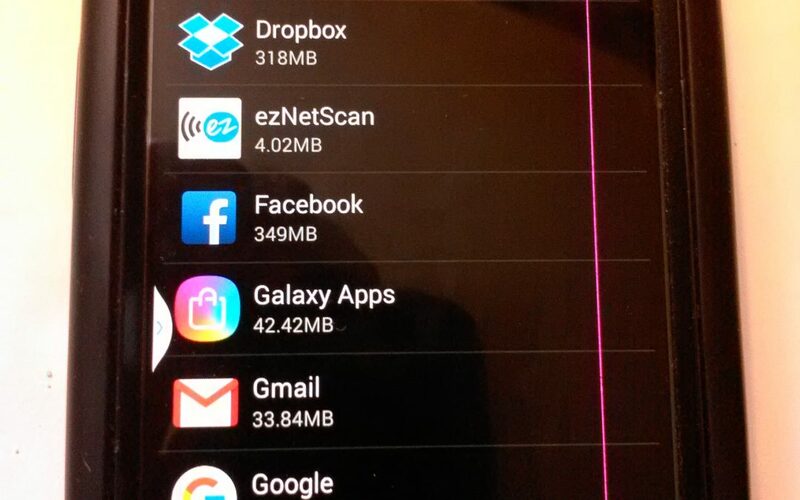 I found the free space on the old smartphone was just 15-20 MB which isn’t much. The smartphone didn’t have enough room for file administration and couldn’t even notify me of the problem. I deleted a few apps and guess what? I was able to save the picture to Dropbox and it showed up on my Linux computer so I could put it into my blog. I learned a valuable lesson this weekend that smartphones free space can fill up just like a computers.